Each edition of the Digilent Design Contest has offered us the opportunity to meet smart, interesting and complex people. Each team has had something special to show, regardless of what prizes they won. Today we have gathered a few testimonials from past winners to see how the event impacted their careers and helped them further their professional aspirations. 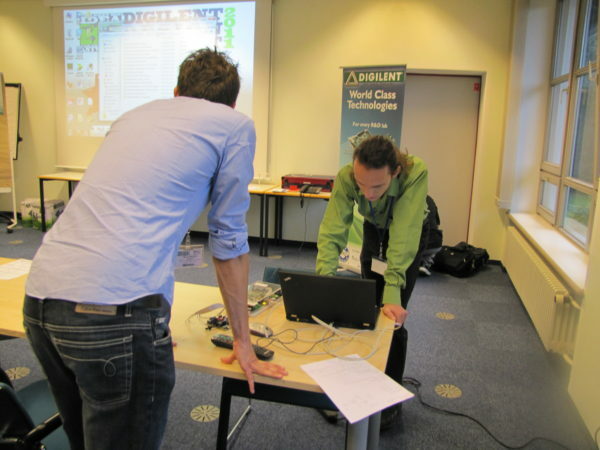 For me, the 4th edition of the Digilent Design Contest was a career changer, literally. 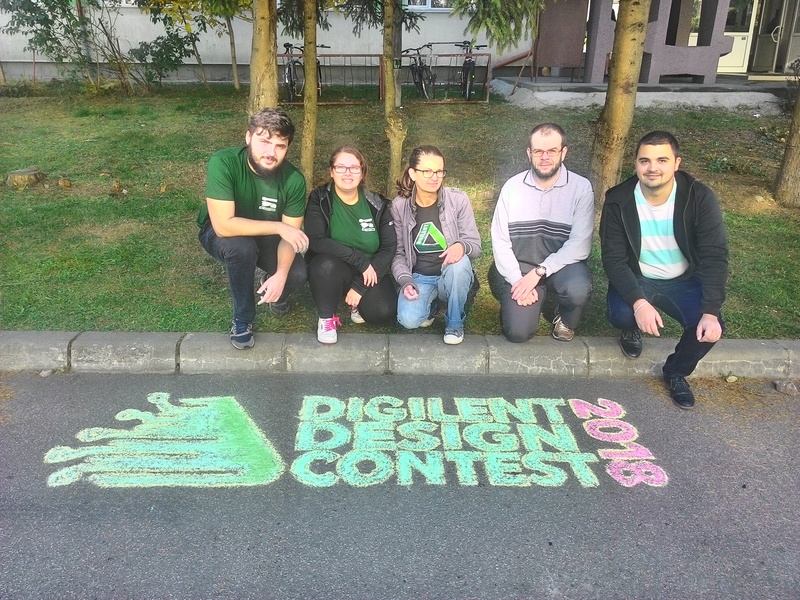 I was at the end of my 3rd year at Technical University of Cluj-Napoca, and I was looking for a job… and I found it thanks to the Digilent Design Contest. I got head-hunted by some guys who were thinking about starting a European branch for their US IT business. I’ve been working for them (Imprezzio Global) ever since, and remembering how I got here always brings a smile to my face. The contest itself was a major challenge for me and being the only girl to win the competition made the deal even sweeter. I hope to see the contest continue! Our next interviewee was Florin Cocos, winner of the 6th Edition of the Digilent Design Contest with his Blue Rover project. Hailing from Constanta Maritime University, Romania, he shares his experience from participating in the 2010 contest. 1. Getting experience by working on the specific project with the provided hardware/software used in the contest, and solving the challenges. 2. General experience gained through teamwork. The whole contest experience was fun and allowed me to meet great people. 3. The contest and the 1st prize were mentioned in my CV when I applied for an internship at Freescale Toulouse in France. I’m sure this added to my CV, and it likely was a factor in me being accepted for the job. Our next team of winners is from ETH Zurich, Switzerland. Mario Mauerer and Lukas Schrittwieser entered with their BitHound project and won the 7th Edition of the Digilent Design Contest… as well as the first worldwide Finals in 2011! For us, the result of the Digilent Design Contest was a very cool endeavor. 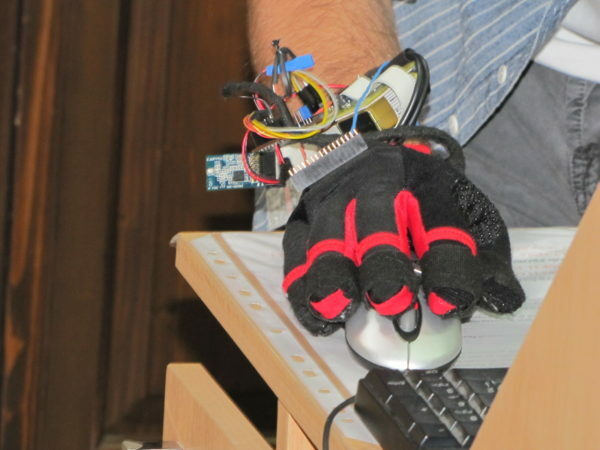 We actually still use BitHound, the logic analyzer we designed for the contest. 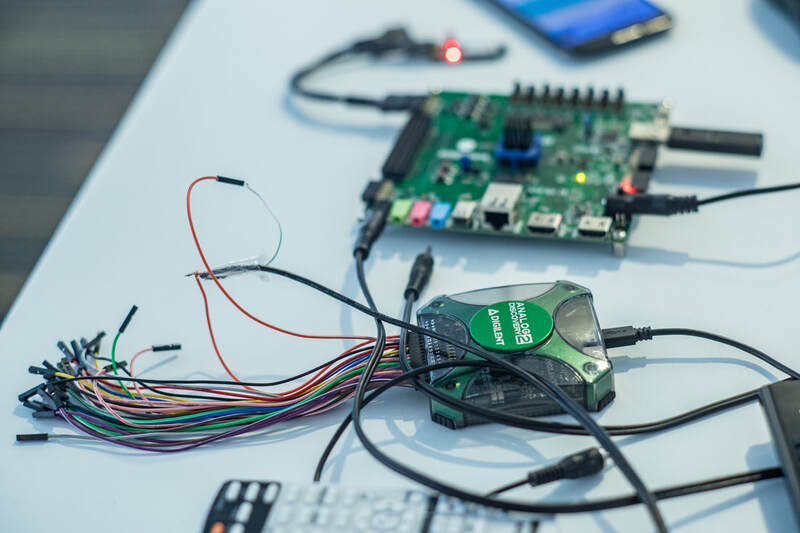 We have also received feedback and questions from people all around the world who use BitHound for debugging their own circuits. 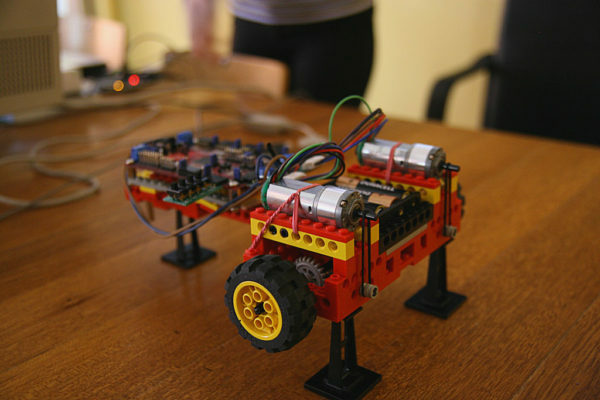 It was really nice to see that our project is of use to other hobbyists and engineers. As far as the contest itself, we think it was organized very professionally. It was cool to meet engineers from all around the world. We are both currently PhD Students at ETH Zurich. We also spoke with Mihai Bancisor, winner of the 7th Edition of the Digilent Design Contest in 2011. 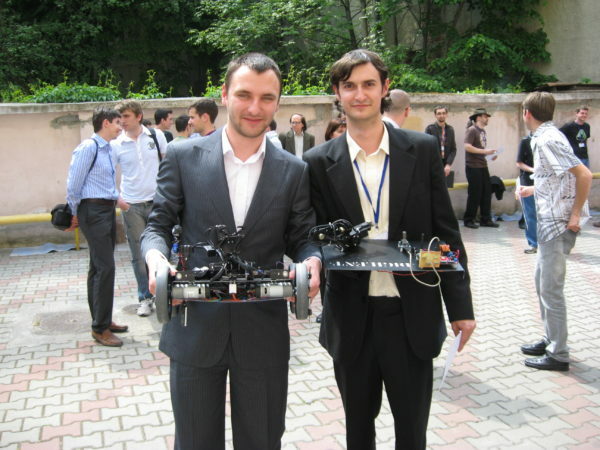 He also obtained honorable mention in the 6th Edition of Digilent Deisgn Contest 2010 with his Bomb Disposal project. He is from Technical University of Cluj-Napoca, Romania. Besides the technical knowledge, the most valuable skills I gained by participating in the Digilent Contests were teamwork and time management. Winning 1st prize also helped me get a job at Analog Devices as System Design Engineer. The outstanding organizer(s) made the whole experience very enjoyable and I recommend this contest to all engineering students who are passionate about their work. Our final interviewee for this round was Ionut-Gabriel Farcas, winner of the 8th Edition of the EU Digilent Design Contest 2012 with his S.L.A.N.G. project. He is also from Technical University of Cluj-Napoca, Romania! Winning the Digilent Design Contest was the greatest achievement of my undergraduate studies. The experience was very enriching for me, and I have learned a great deal from the contest itself. Not only the technical things but also from the experience of the contest… including the presentation of our work in front of such an exclusive audience. The fact that I won a prestigious European contest contributed very much to the value of my future applications. When I applied for the DAAD scholarship and the masters program at the Technical University of Munich, I knew that the competition was strong and I believe that my contest achievements made the difference in me getting accepted. The Digilent Design Contest 2012 was a great experience and one that I am very proud of. It has had a very positive impact on my life. We are extremely proud to have had these amazing engineers as contestants and glad to see they’re all now working or studying in positions that they enjoy. We wish them all the best of luck in the future! Keep an eye on the blog for the second part of this story to see more coverage of our recent winners and their professional growth!